In our hotel in San Cassiano/St. Kassian everything is centred on offering you a wonderful holiday. 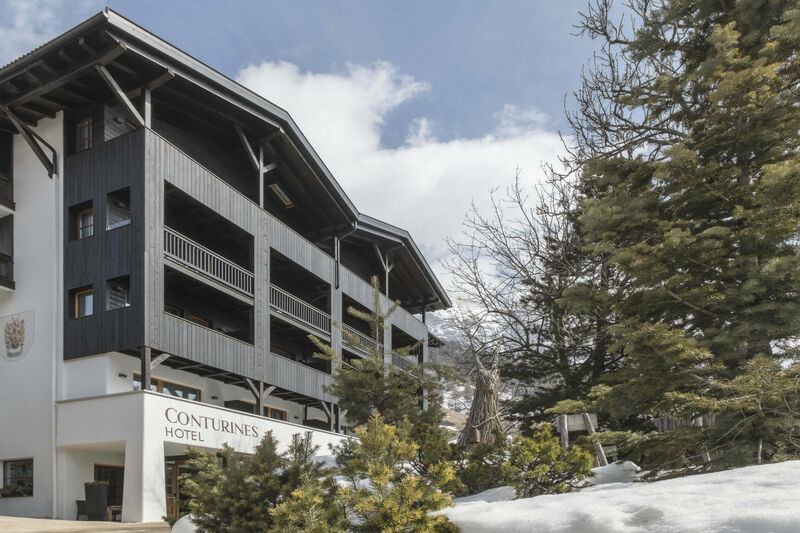 The easy-going ambience, the heart-warming service and the typical Ladin hospitality give our hotel in San Cassiano/St. Kassian its characteristic feel-good character. In this lovely hotel in San Cassiano/St. Kassian you are looked after by the Manco-Ploner family. 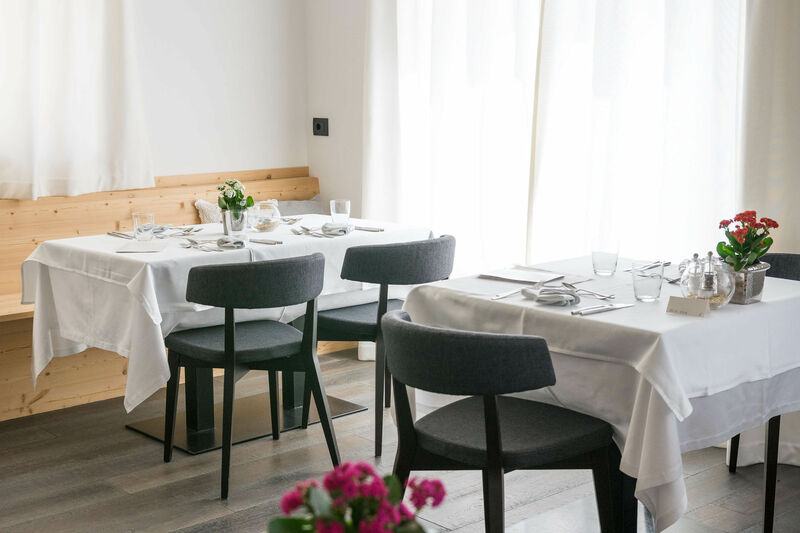 We are born hoteliers and passionate gastronomes and could not imagine doing anything else than being your hotel hosts here in San Cassiano/St. Kassian, offering you a holiday in the Dolomites with our allround services. During your holiday in the Dolomites in South Tyrol we will provide you with everything you may want to know – from hiking- and biking tours to info about the most beautiful sights of the region to tips concerning the Ladin language and culture. You can find us at the hotel reception, in the dining hall or on our terrace; we are here for you and always up for a little chat. What motivates us is when we see our guests’ eyes light up, when they tell us about their latest fascinating adventures in the Dolomites. It shows us that we are doing something right and that we succeed in offering our guests a unique holiday in the Dolomites. One of the benefits of our hotel in San Cassiano/St. Kassian is the location – right in the heart of the peaceful pedestrian zone, offering the ideal starting point for all kinds of excursions. In summer, you reach the Fanes-Sennes-Braies/Prags nature park in no time at all; the park is an Eldorado for hikers, bikers and climbers. In winter, it is only a few minutes’ drive from our hotel in San Cassiano/St. 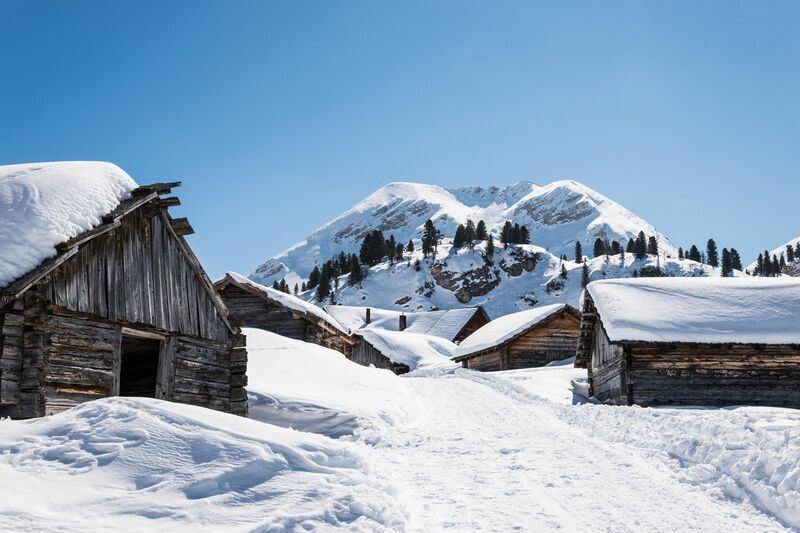 Kassian to the Piz-Sorega cable car, which takes you right to the Alta Badia ski resort and its perfectly groomed slopes. No matter if you are traveling solo, as a couple, with friends or the whole family – the surroundings of our hotel in San Cassiano/St. Kassian offer a range of sights with something for everyone and every taste. In Alta Badia you can admire museums, churches, handicrafts, nature spectacles – such as the Enrosadira – and much more. Come on over and take in the charm of this Ladin-speaking holiday region. In our hotel in the Dolomites we pamper you with delicious delights made from traditional Ladin recipes. The South Tyrolean specialities, prepared by the kitchen team of our hotel in San Cassiano/St. Kassian with premium regional and seasonal products, are a real treat – even for connoisseurs. Top off your meal with a fine wine from our well-sorted wine cellar. But not only the culinary delights are a highlight in our hotel in San Cassiano/St. Kassian. Also the spa- and wellness area with sauna, steam bath and relax room radiate pure holiday bliss. Unwind and regroup, revisiting the day’s highlights and finally, have a good night’s rest in the snug beds, before waking up the next morning, newly recharged and with lots of fresh energy and power. Spend your next holiday with us, at our hotel in San Cassiano/St. 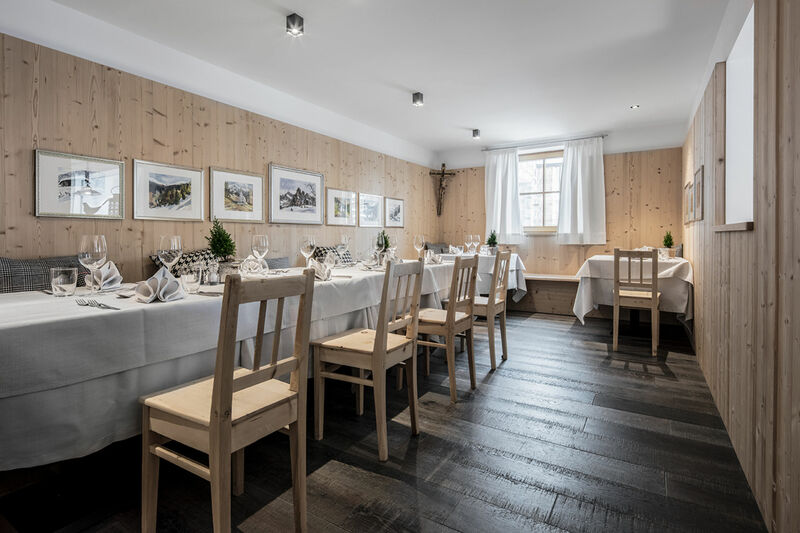 Kassian in Alta Badia and look forward to a timeout in South Tyrol centred on genuine hospitality, culinary delicacies and unforgettable adventures in the outdoors – the Dolomites UNESCO World Heritage. We look forward to welcome you soon!